We all want the digital archive of all our photos at our fingertips — and there’s nothing wrong with that. But if you think past sharing on social media, our fingertips won’t always be on this Earth, and neither will our devices. After learning to manage my own family photo library and delivering hundreds of thousands of photos each year to my families and local businesses, I’ve discovered the truth about photo quantity. I know it’s hard, but really… do you need 569 photos from that family vacation? Do you need a selfie from every fun outing you go on or cute outfit your kid every wears? Will you actually enjoy them all in the future? Not likely. But you might enjoy looking back on a collection of a few great ones if they’re readily in front of you! Click away for practice and joy but don’t be afraid to delete those shots that don’t quite work, touch your heart, or tell a story later on. When you become more intentional about what you shoot and what you keep, the process of narrowing down what to print will be much more manageable in the end. 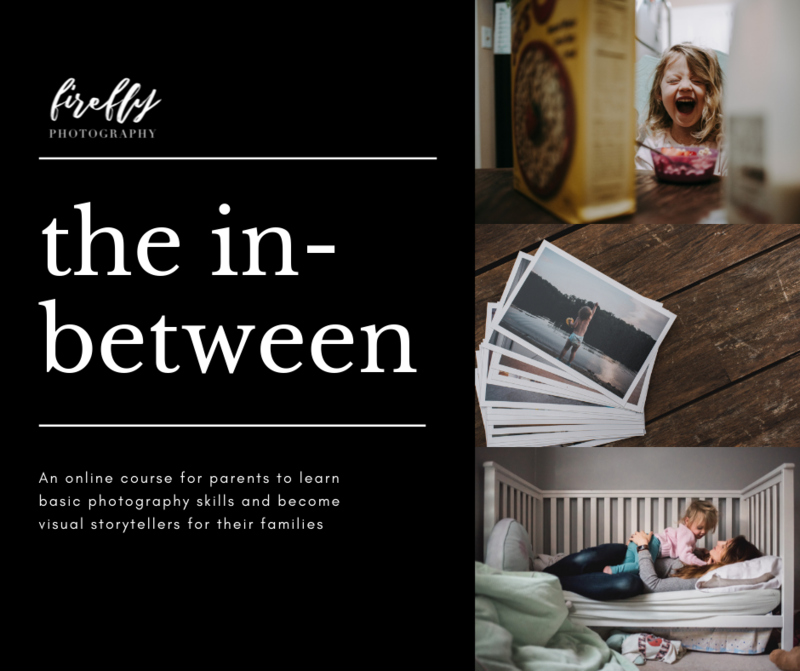 If you’re interested in learning about how to shoot more intentionally in your daily life, check out my online course below! Let’s dive in to some of the best ways you can take that last step. Great for: series of professional photos, vacation, birthday party, milestone, etc. I’ve purchased small books from both these vendors for personal photos in the past and they offer great options and design assistance. Artifact uprising softcover 5x5 book of our trip to Puerto Rico in 2017. I took almost 100 photos and the book includes about 30 favorites. We keep it on our bookshelf and look at it all the time! If you don’t like making holes in your walls or move often, this is not for you! 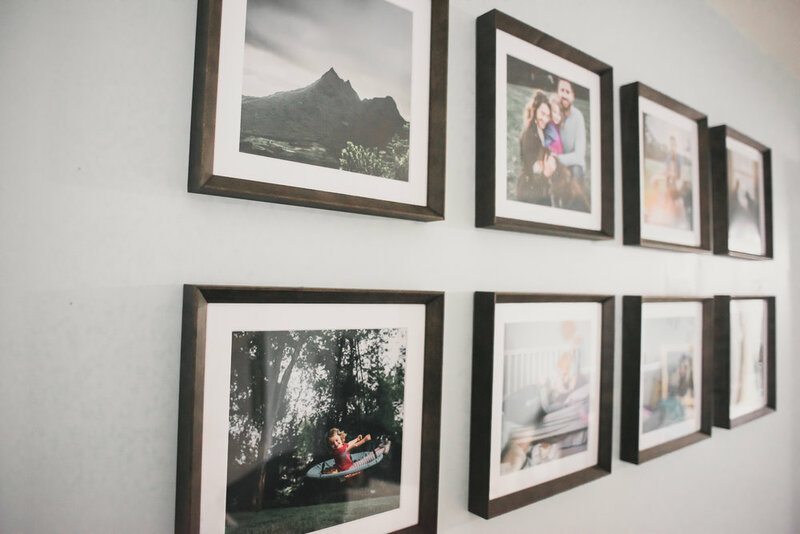 This company is doing a great job of making it easier to design wall displays and frame photos with quality materials that won’t damage your prints and keepsakes over time like most consumer frames. You muuuuust have high quality photos if you want to print and hang them large on your walls. Saved photos from Facebook or your phone will be compressed and grainy so just say no! Be sure to have your photos mounted when printing any larger than 8x10 or you’ll notice rippling in the print over time. This set of 8 square 10x10 barnwood frames is part of my client keepsake collection and we are loving it over our living room couch! I know it seems easy to run down to Costco or Target for your prints, but there is enough research and testing on print quality to prove how yucky that is. (seriously, google it.) These machines are not calibrated for color matching or maintained regularly, so it’s pretty likely that the photo you print won’t look like it does on the screen. They also don’t use archival papers or inks, so the longevity of the print goes way down — this is why photos from previous generations are now yellowing and tearing. We have the technology now, so use it! MPix uses good materials and has great service, so it’s just as easy to get your prints sent right to your door. This was a temporary display I had before we designed our frame gallery wall. Gotta say, I love the frames a whole lot more! **By shopping through these links, you're also still supporting my small business because I receive a small percentage back from each order for partnering together to encourage printed stories - so thank you! Let me do it for you! Did you know you can purchase Firefly Keepsakes of your personal photos as well as photos from previous sessions? TRUE. I’ve already chosen high quality, stylish options and I do all the design and assembly for you to ensure a beautiful end product without any of the stress and minimal decision-making. I seriously love doing it, and unless you do too, there’s no reason to hang on to trying to figure it out. Firefly digital collections include 40% off standard keepsake pricing, so whether you just received your photos or purchased a digital collection from a past session, please consider combining your collection with something tangible! Don’t let your photos fade with your hard-drive — whatever it takes, let’s make something happen so you can truly enjoy them — even after USB drives are the new Atari.